Send a heavenly message to your guests with the Star Theme Club Flyer. 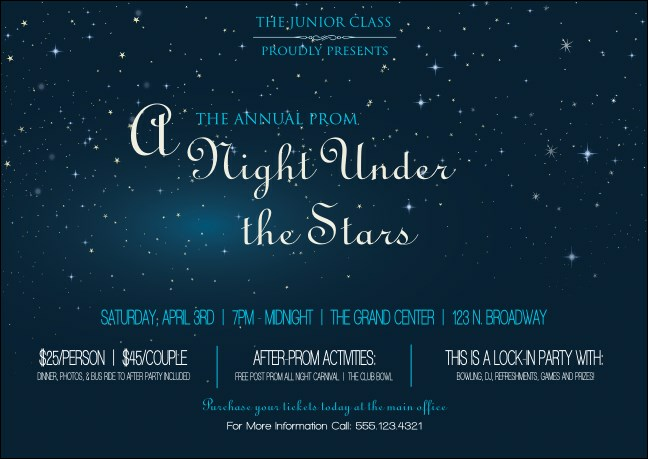 Printed on high quality card stock, this club flyer stands out with its rich blue background and clusters of stars throughout. The elegant white and bright blue text promotes all your event information!